PrestaShop 1.7 does not have 'homepage tabs' feature. 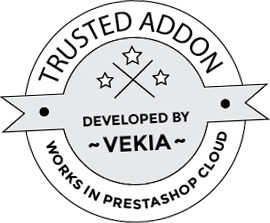 PrestaShop developers removed them from version 1.7. With this module you can enable homepage tabs tool again. So you will have possibility to display popular products, new products, best sellers, on sale products etc. 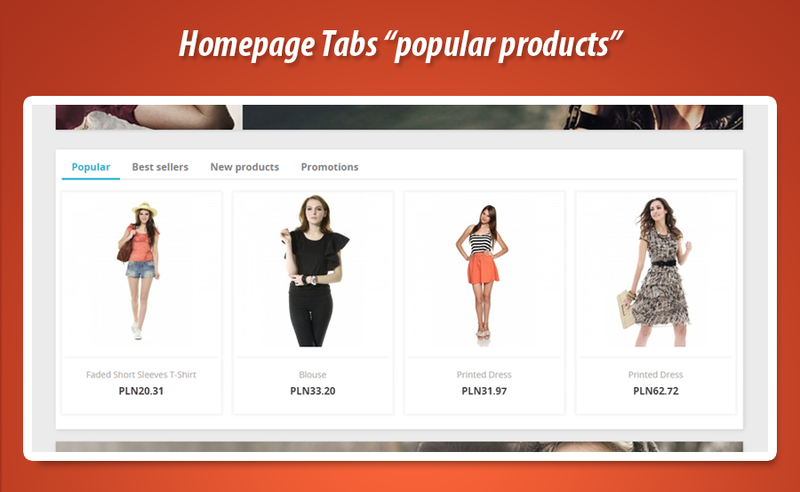 Homepage tabs module for PrestShop 1.7 allows to re-enable feature from PrestaShop 1.6 to display list of products inside feature called "tabs". This feature was available in PrestaShop 1.6 by default, unfortunately in new version of PrestShop it is no longer available. Below you can read more about this module. Main and most important feature available in homepage tabs module is possibility to enable homepage tabs feature. With this plugin you will be able to build "popular", "new products", "best sellers", "promotions" tabs like it was in PrestaShop 1.6. Whole process of installation is fully automated so its not necessary to alter any part of PrestaShop core / theme files. How to create tabs with products in homepage tabs ? To use homepage tabs feature it is enough to install these absolutely free modules. Download these plugins, install them in your shop and module will automatically create tabs.